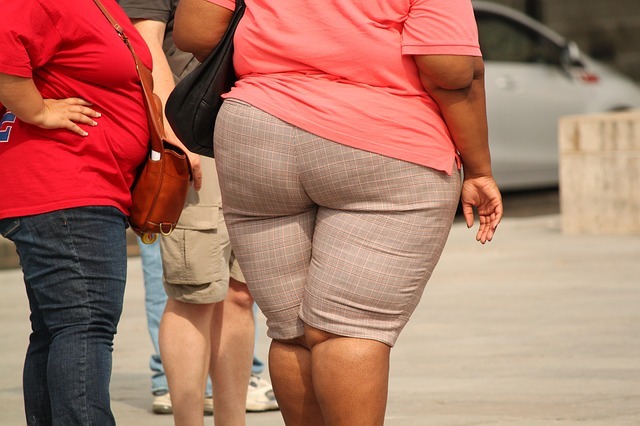 Americans are fatter now than they ever have been. The Center for Disease Control (CDC) reports that 40 percent of adults and 20 percent of children are obese. The CDC refers to obesity as a societal health crisis. Is there anything that can be done about it? Perhaps we could find solutions from the one successful society-wide behavior modification program conducted in the United States: the anti-smoking campaign. In 1963 fifty two percent of American adults smoked tobacco products. Now, 56 years later, only 15 percent of adults smoke. This is a huge positive change that has enhanced the health of millions and saved society billions of dollars in medical costs. How did this miracle happen? In the first 60 years of the 20th Century the tobacco industry advertised that smoking was good for your health. In the same time frame scientific research established just the opposite. In 1957 the American Cancer Society accepted the correlation between smoking and lung cancer, and in 1964 the United States Surgeon General issued a landmark report summarizing the research and concluding that smoking caused a variety of negative health outcomes. This led to the to the first federal anti-smoking legislation, the 1965 Cigarette Labeling and Advertising Act, which mandated warning labels on all cigarette packages. This was followed by the 1970 Public Health Cigarette smoking Act, which essentially banned cigarette advertising on television. Thus the anti-smoking campaign started with scientific evidence, which led to mandated prohibitions. These prohibitions did not outlaw smoking; adults could still choose to smoke. However the prohibitions made it more difficult for the tobacco industry to sell cigarettes, and directly confronted smokers with the negative consequences of their behavior. These actions also encouraged anti-smoking activists to take further steps. In the 1970s they began pressuring both state legislatures and Congress to ban smoking from public places, based on the evidence that secondary smoke inhalation led to adverse health outcomes. Over the last several decades these efforts have gradually led to smoking bans in almost all public spaces. In addition, anti-smoking organizations sponsored fear-appeal infomercials, which featured the gruesome health consequences of smoking. Finally, most states tax cigarettes and tobacco products at high rates. All of these steps are the punishment and negative reinforcement side of behavior modification. However, there are also rewards (positive reinforcers) for quitting or not smoking: better health outcomes, and insurance companies offer monetary incentives for not smoking. In summary, the anti-smoking campaign featured a number of steps: scientific evidence, imposed warnings, advertising bans, fear appeals, public space prohibitions, and incentives for not smoking. Over time these steps led to a massive societal shift, from smoking to not-smoking, and it was done without outlawing smoking! Could the same steps be applied to obesity? Over-eating has similarities to smoking. Like smoking, eating fatty, salty and/or sugary foods (a main cause of obesity) gives us instant gratification. When we indulge in these behaviors we are focusing on the short term positives and we are ignoring the long term negatives. And, thinks to instant gratification, both smoking and eating obesity-causing food are addictive, which makes them even more difficult to give up voluntarily. Consequently, obesity, like smoking, can only be widely diminished by applying both the negative and positive reinforcers. The scientific evidence that obesity leads to negative health outcomes is conclusive. Following the anti-smoking campaign sequence, the next steps would be to place warning labels on certain food and drink products and ban TV and internet advertising from the fast foods industry. Then banning certain products, which has already been tried, when New York City banned super-sized soft drinks in 2011. Unfortunately the ban was overturned in court. However, a precedent has been set, and it is likely that other communities and states will attempt bans. Perhaps product bans would be more acceptable if they focused on public consumption, such as in restaurants, but not on private consumption in homes, while taxing obesity-causing products in the grocery stores. This behavior modification intervention will be intensely opposed. However, the anti-smoking campaign succeeded despite the opposition of the tobacco industry, so there is hope. There is especially hope because the freedom to consume is not being denied; people could still consume obesity-causing products, but possibly in restricted circumstances, which may cause a significant decline in obesity.